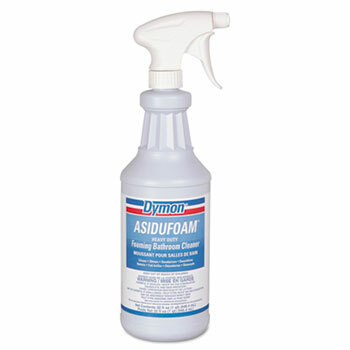 Foaming cleaner clings to vertical surfaces. Removes dirt, soap scum and stains caused by mildew, mold and algae, oxidation, corrosion, urine salts, light rust, lime, calcium and iron deposits. 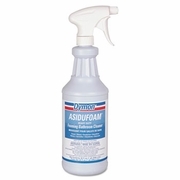 For use on grout, brass, fiberglass, ceramic tile, stainless steel and other bathroom surfaces. Nonchlorine formula contains no harmful mineral acids. 32-oz. Bottle. 12 bottles per case, sold by the case.